Gamers check out and play throughout 2017 with a good variety of games for different tastes to find a game that is worth their time. MapleStory is one of games that can hopefully take up a good chunk of your time in 2017. Many MMORPGs try to separate themselves from the crowd. Few titles do this better than MapleStory. While most of popular MMORPG games are 3D, Maple Story is instead a 2D platformer that takes place in the “Maple World.” The game features a cute anime-inspired art style, with enemies so cute you almost feel bad for killing them. Maple Story features a level cap of 250, and has an interesting storyline that holds today despite the fact that the game released in 2005. Though 2D, players are still able to chat and trade with one another, and there is PvP. If you want a MMORPG that is worlds different than anything else on the market right now, then Maple Story just might be your cup of tea. Plus, the game official site launched a long-anticipated activity, the Sengoku High event. Oda Nobunaga has taken over Sengoku High. To prove yourself worthy, players need to battle against Oda Nobunaga's elite students. Step into this premium mini-dungeon and complete quests to earn Oda Coins which allow gamers purchase totems and pocket items with the coins. This mission require our character must be Lv. 33 or above. Remember that the dungeon is solo only. For more details, click here to know more about the rewards. This event starts from Wednesday, February 15 and ends on Tuesday, February 28. 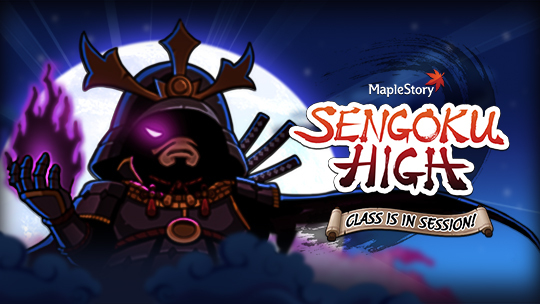 You may need purchase special Sengoku Class Supplementary Pass to enter the school or buy items you need with MapleStory Mesos or MapleStory Nexon Cash. Visit our site for cheap MaleStory 2 Nexon Cash!